The Soyuz MS-08 spacecraft docked to Poisk module of the International Space Station at 3:40 p.m. EDT while both spacecraft were flying over Serbia. 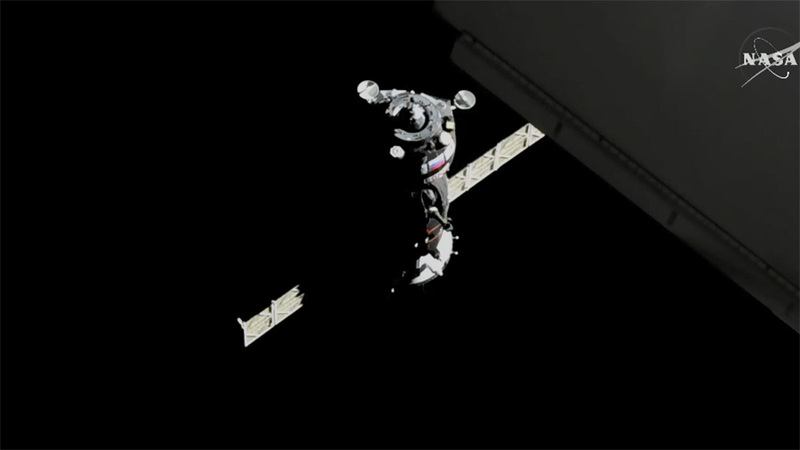 Following their two-day trip, NASA astronauts Drew Feustel and Ricky Arnold and cosmonaut Oleg Artemyev of Roscosmos docked to the International Space Station. Their arrival restores the station’s crew complement to six as they wait to join Scott Tingle of NASA, Expedition 55 Commander Anton Shkaplerov of Roscosmos and Norishige Kanai of the Japan Aerospace Exploration Agency (JAXA). The hatches between the two spacecraft will open following standard pressurization and leak checks. Watch the hatch opening and welcome ceremony on NASA TV and the agency’s website beginning at 5 p.m. EDT.